I have this terrible tendency to want to eat pizza every day of my life. No joke. But seeing as I ordered my beloved jalapeño-pineapple ‘za from Jakeeno’s last night, for the sake of my wallet (and my waist), I figured tonight, I should switch it up. So I pinned these Pizzucchini c/o Dashing Dish and went on my way. I loved how these babies came together super fast. Like one episode of “Orange is the New Black” and dinner was done. 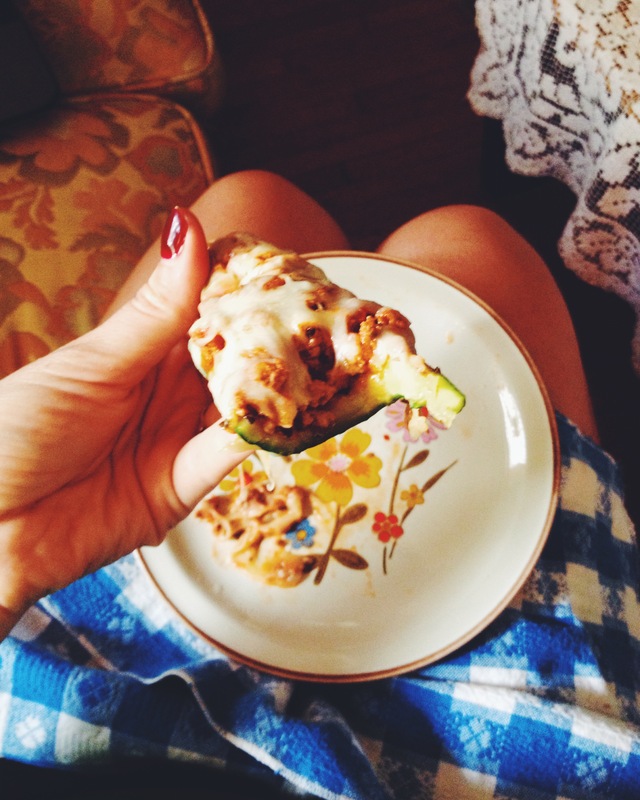 I felt so good about eating an entire zucchini for dinner, I almost forgot to miss the crust. 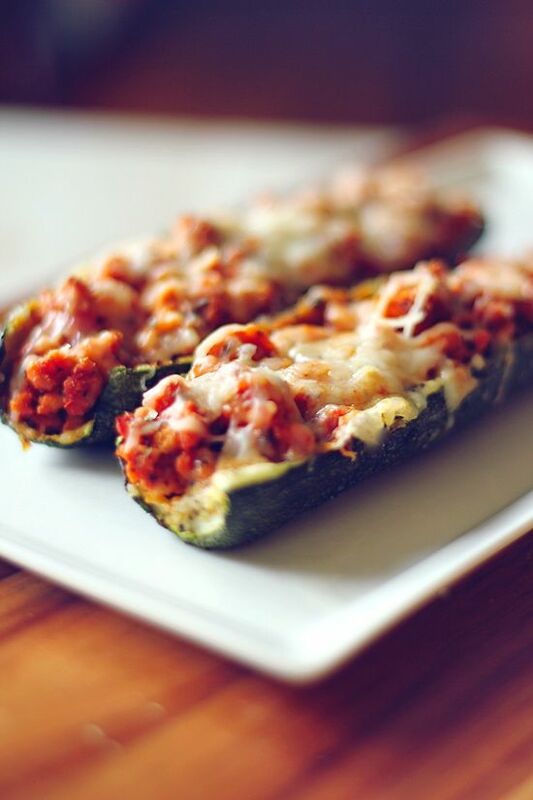 Definitely a recipe to remember this summer, especially if you’re a fan of both zukes and ‘za. Wishing you all wonderful evenings! Top photo c/o: Dashing Dish.